There are those that incarnate on this planet that are already wired for this extrasensory ability and it is very apparent early in childhood. Many of these beings have a hard time adjusting being on this planet being so sensitive and they feel that this ability is a burden. They are considered overly sensitive and emotional. Kids that are wired this way often times cry a lot when they are over stimulated. It can be frustrating for a parent that has no idea why their child is crying or are overly emotional all the time. Most parents just say “STOP BEING A BABY!” or “GROW UP!” This is when empaths learn to suppress their emotions which can cause issues and blocked or trapped emotions from holding things in. As someone that came in this way I can relate to these people because until you learn how to navigate being a sensitive being it can cause a lot of anxiety, emotional instability, drug addiction (street drugs, alcohol abuse, and RX drugs), isolation, and emotional overreactions to everyone and every situation. What are some of the traits of someone who empathic abilities are online? Feeling the energy of those around you. You can feel their pain or joy as if it is your own at times. We sometimes take in the collectives (worlds) energy as well. If the majority of people on this planet are having a high or low vibrational day you can actually feel it. Not being able to be in large crowds because the mixed energy in the crowd is overwhelming. (Personally going to a sports arena game was not possible without suppressing my emotions with anxiety meds or drinking. Also I worked at Disneyland for 10 years and the entire time I was medicated by RX drugs or it was impossible for me to work there). Having little or no desire to go to social gatherings or parties. If you do you most likely sleep the entire next day from being exhausted energetically from others. It can also be hard to be around people that are drinking or doing drugs because it puts them in their emotional body and you feel it all unless you drink or take drugs to dull your senses. You know right away if someone is being dishonest with what they are expressing, if they are not authentic, or lying. You are a human lie detector. Highly intuitive. Most empaths know if something or someone is going to be a good or bad experience. We tend to have more of a gut feeling about situations. Needing a lot of alone time to recharge. Empaths need to recharge with a lot of alone time. Even if you are in a relationship you might need to retreat a lot to recharge. The reason we need this time is so that we are not processing other peoples emotions for blocks of time. It is a “Break” from other peoples noise. Too much togetherness can be difficult for an empath so they may avoid intimate relationships. Deep down they are afraid of being engulfed and losing their identity. For empaths to be at ease in a relationship, the traditional paradigm for being a couple must be redefined. Chronic illness. Many Empaths develop chronic illness such as fibromyalgia or autoimmune diseases. This comes from not processing energy efficiently and it gets stuck in the energy body. Blocked or trapped emotions can cause real physical/emotional pain and disEASE in the body. It is so important to learn to transmute others energy and not hold onto it as your own. Not being able to eat meat or only small amounts of meat. After I got off all the RX drugs and was not blocking my empathic abilities my sensitivities increased to the point when I ate meat I can taste the energy of that animal when they were alive how they were killed. Low vibrational movies, TV, and Newscasts that have killing, torture, suffering or treating another human or animal badly can be hard to watch or not tolerable at all. Drug or alcohol addiction. Because RX drugs, street drugs, and alcohol block many of or extrasensory gifts many of us go through a period of time we dull our senses until we learn to process and/or transmute energy. So far we have talked about a lot of what we could consider the negative aspects of being an empath. There are many gifts that come along with being an empath once you learn to not take on everything as your own. When you can separate the energy from those around you from your own it makes life much easier. Also I have learned personally I had to heal my emotional body so I was not so reactive to others perceptions or beliefs. By doing this I became less defensive and reactive to other peoples points of view. As an empath this has been imperative so that there is not a recycling of energy between me and the other person. By reacting to someone you are firing up their emotions and you are going to be effected by it. 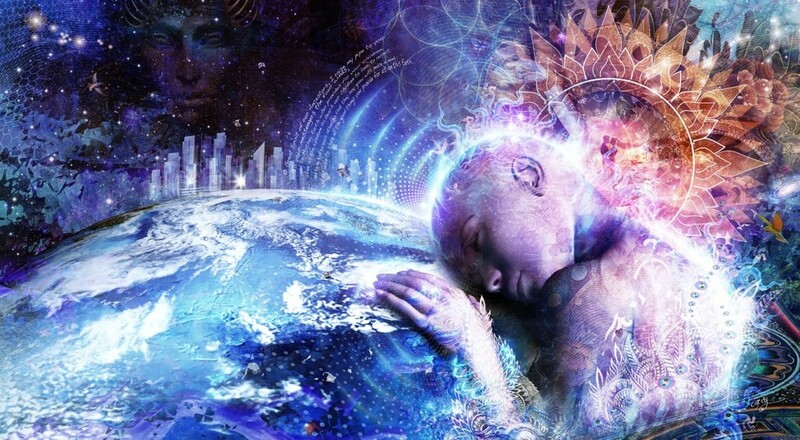 So if you are a person that needs to react to everything outside your beliefs such as politics, religion, or anything that you have been conditioned to believe as right or wrong as an empath you will be emotionally drained all the time. If you feel this is you I encourage you to read my previous article Perspectives, perceptions, and beliefs and the evolving consciousness. Sometimes it is necessary to work with a skilled energy worker to remove blocks and conditioning that has been programmed into you from society or family. Energy workers are a tool not a cure. They can help remove blocks but your willingness to grow and evolve is completely up to you and is your job. It is important to remember you can not control what others say, do, or believe only your reaction to it. Your power does not reside in telling people how you believe things are but by your emotionally mature reaction or no reaction at all. So what are some of the positives of being an empath once we are not overwhelmed with our gift? We are natural healers! 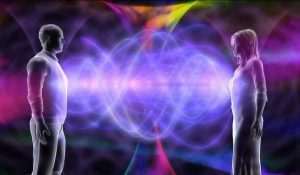 Many Empaths choose to pursue energy healing as they feel an inner calling to heal themselves and others. Some of us just have a healing energy by being and are a catalyst for others to heal emotionally or physically. We feel energy! Yes we feel the lows but we came here to experience duality and feel all kinds of emotions. When we feel the highs we feel them higher than the average person and it can bring a feeling of bliss many times. We sense danger before it happens and can navigate our way around it. Our sense of smell, touch, and taste is much stronger. So we enjoy food, making love, and the beautiful smells of nature more than some. We are intuitive and sense nonverbal communication. We are great at reading inbetween the lines and know if people are being truthful or deceptive which can save us a lot of pain and suffering in the future if we follow our intuition. We are amazing with animals and animals are very drawn to us. We sense their needs immediately because we feel their energy. We make great pet parents or excel at careers that deal with animals. 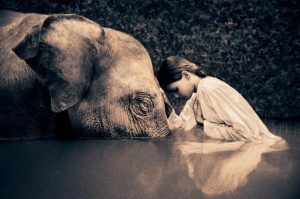 We have huge hearts and a broader sense of compassion. Because we can sense how others feel when we interact with them we are very aware that our actions and reactions affect others so we tend to choose compassion over reaction and the need to be right. If we do something that is wrong or hurts another we are the first to apologize and admit we are wrong. We see the other persons perspective even if it is not our own. We tend to go inward more than the average person and express ourselves with creativity. Some of the most beautiful art and music is made by empaths. We are the “Mother Teresa’s” of the world and want to make changes for the positive on this planet. Many of us love to volunteer, be a big part of our community, and be leaders in areas of wanting to make the planet a better place for all. We care about what happens to the collective (everyone) not just our own selfish wants. As you can see there are many positive things about being an “online” empath once you fully accept your extrasensory gift. It really is about perspective. We have a choice to focus on the positive or negative of anything in life. What you focus on you are creating in this now. No one or no thing has power over us and once we realize this we step into our power. We can take this ability and make ourselves a victim or use it in positive ways to help ourselves, those around us, and this planet as a whole.